More vid of that Pig please!!! Last edited by brokenparts; 10-05-2010 at 09:16 AM. So, anyone wanna come up with me this Sunday? so from seattle it is a ways away. most likely 7-8 hours??? anyone from around the puget sound been there? i recognize a few. I liked the trail, but after going once I don't think I'd drive 7 hours to run it. But everyone has diff. Likes and dislikes. 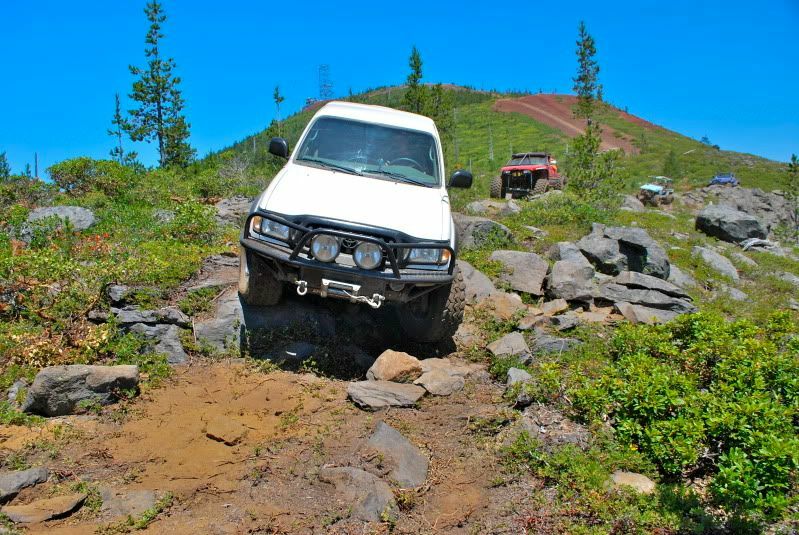 amazing trail went over the weekend and was happy to see that there is a trail like this in Oregon. Only thing I wanted after the run was more, great job. so it is like 7 hours from salem? is there camping around the trail head area? I'd like to go soon. If you have a weekend picked out let me know. I'm in Olympia but could tag along if you got a group going. no no no silly. only an hour and 40min. I am saying if I lived in seattle I would not make the 7hr journy from there. the big lake camp ground is very nice we were tenting it and was fine has bathrooms that were cleaned 2 times a day cost was $18.00 a night and extra autos are $9.00 a night but they seemed to let the wheelers count as atvs so no extra charge. parking spaces are large enough for truck and trailer with plenty of room for 2nd truck and trailer in one space. It's was the rocky up hill section going from lower to upper it's was by the clearing! think it's the 3rd one? made it up in about 20 feet couldnt get any Traction. I have heard the upper section is easier than the lower trail. 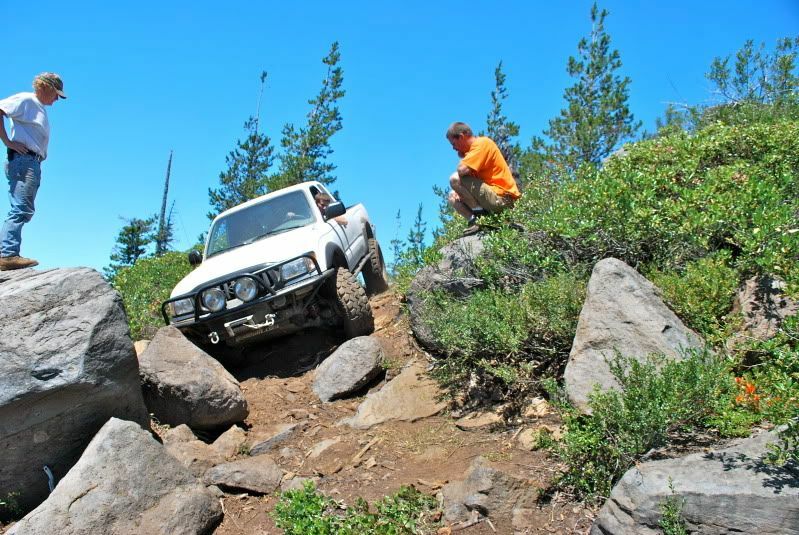 What do you guys think is the minimum requirements for a rig to run the upper trail? Tire size, lockers, sliders etc...??? 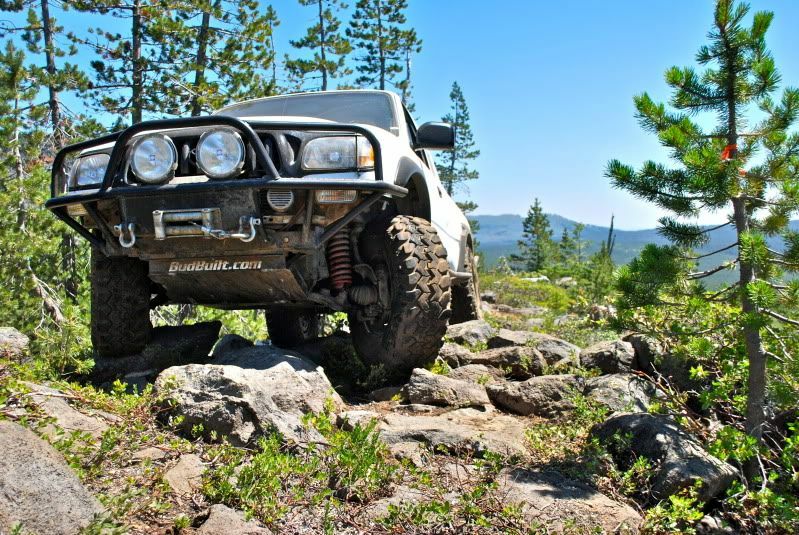 might depend on the weather a little but Bobert did fine in his '04 tacoma with 33 tsls and rear locker. He has full skids and bumpers tho. I dont remember if he used them actually on the upper section. With some good spotting you could prolly get'er done with good tires and a rear locker. 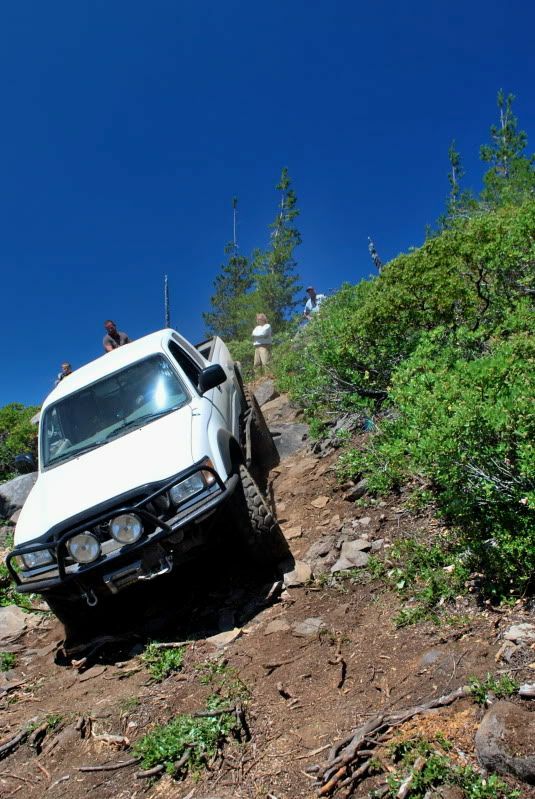 I dont know if its worth it to drive from where ever your comming from, just to run the upper trail. That would prolly be a day trip. Go with a bigger group so you can see the harder stuff being done. There is also alot of sand/dust roads to drive around on and explore, and alot of recreation and campping in the area. Like hckster09 said, I got through it with 33s, open front, locked rear, and 2.5" lift. I really used the sliders and skids. I had some damn good spotters which made the difference. Last edited by Bobert14; 10-26-2010 at 07:11 PM. Anyone know if it's still open? I would really like to hit this trail before it closes. If someone could find the number to the managing forest service that would be great. Last edited by gtxracer; 10-26-2010 at 07:10 PM. i think techincally its still open, but as soon as the snow hits it will be closed. And if you run the trail you need a spill kit. I spent hours on the phone with different ranger districts last week trying to find out when the trail closed. WENDY ZUSTIAK 541-782-5230 of the Middle Fork Ranger District is the person to contact. She was the only helpful person I talked to. She said it will close November 1st, guess the trail has a permit to be in the hodoo ski area boundry. And per hodoo ski area rules all motorized vehicle access is closed starting November 1st. Not sure if the recent snow will close it down sooner? 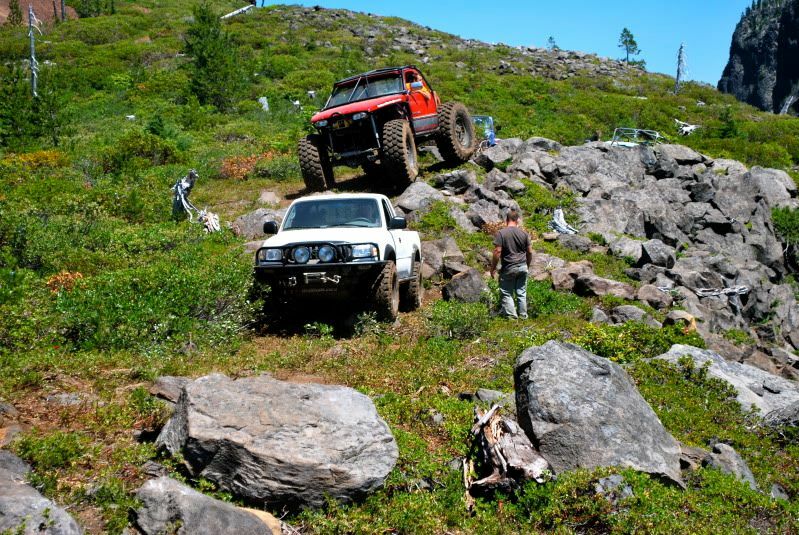 Looks like some good wheeling. Hope its open next summer when im down there. Does anybody have information if it's open or closed due to the fire. Or a place to look. WENDY ZUSTIAK 541-782-5230 of the Middle Fork Ranger District is the person to contact. I think this is who you would contact. I went by there this weekend and Big Lake rd was closed. So unless there is another way in there I'd say it's closed. any body have directions from say I5. or know where i can find some. thanks.